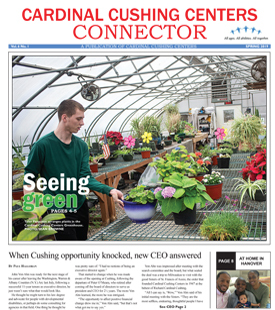 At the Cardinal Cushing Centers, our commitment to individuals of all ages, all faiths, and all abilities is grounded in the founding values of the Sisters of St. Francis of Assisi and Richard Cardinal Cushing. We invite you to learn more about our deeply held traditions. The Sisters of St. Francis of Assisi sponsor 11 Corporate Ministries which reflect the Franciscan values of respect for human dignity; compassionate outreach to those living in poverty; promoting peace and reconciliation; and respect for the environment. The 11 Corporations are doing great work across the U.S. to help populations in need – be it the elderly, the homeless, the jobless, urban youth, or individuals with developmental disabilities.